Android is taking over the tech world. With Android phones holding 85 percent of the total market share for the mobile operating system, the businesses who are looking forward to investing in the mobile application should think twice. The consumers prefer using Android apps for social media, shopping, banking, checking news, sports events, and more. The Android apps offer a vast array of options to the developers and users. According to the Strategy Analytics- ‘Android leads the Smartphone market with a massive market share.’ Most of the business prefer to have Android apps to connect with a large base of customers. If you also want to develop a mobile application for your business and planning to hire the best mobile app developers in India, it is important to know which area of mobile application is worth investing in. Android is the most used and popular operating system. As Android applications are capable of reaching a wider audience which means they help in increasing sales and revenues. Also, the Android apps allow a business to quickly enter the market. The Android OS is loaded with brilliant features, allowing the developers to create exquisite applications. So, when you look for mobile app developer for hire, you should know the basics of Android app development. Additionally, Android is a Google-backed platform that has done remarkably well by integrating enterprise-oriented features in its recent versions. It is fast becoming a preferred choice for many enterprises worldwide. With Google-Android enterprise, the Android devices and apps are made ready for the workplace. The Android app developers can easily integrate APIs into EMM solutions. The implementation of BYOD feature (Bring Your Own Device) enables the developers or users to work as per their convenience. Uniqueness, flexibility, robustness, and security are the most essential features of Android app development services. When you plan to hire the best mobile app developers in India for your app development project, you will get a robust OS to create the most exquisite application. Moreover, with BYOD implementation, looking for mobile app developer for hire becomes a little easy task. The Google-backed platform, Android enterprise enables a business to secure the confidential information by restricting the access and even wiping out the data in case of phone theft or loss. When you hire the best mobile app developers in India, they have knowledge and experience to help you build the apps based on your business requirements while providing enhanced security for the important information of a business. The android application development offers a wide range of options for graphic design which makes it a preferred option over other mobile application development platforms. Additionally, the gaming industry’s first choice is Android application development owing to the tremendous support of this platform for intuitive and attractive graphic design. For building 2D and 3D graphics, Android is the most promising platform. So, hire the best mobile app developers in India and let your ideas turn into reality and create an impressive brand image. The enterprises, specifically small businesses who want to spend less on mobile app development but want an excellent output, Android app development is the best platform to utilize in lesser price. 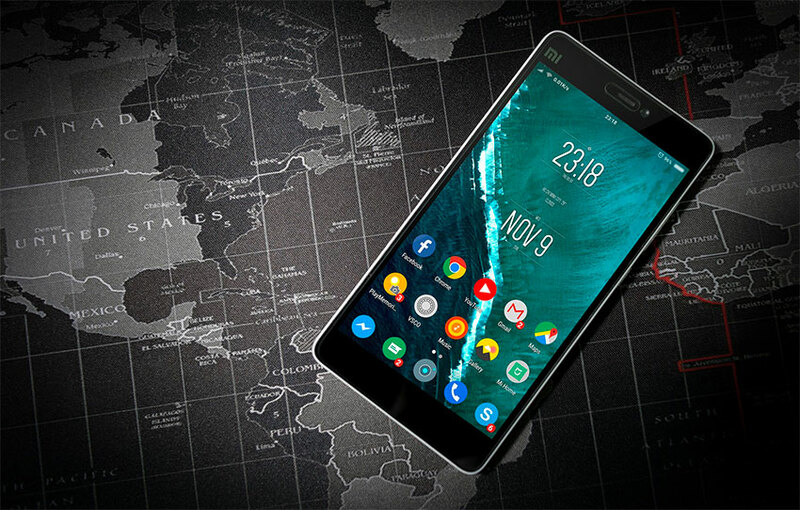 There are a variety of Android app development tools which allow developers to create high-class apps for your business at competitive prices. That’s why this platform has become the foremost choice of business owners to showcase their brand and connect with the target audience. When it comes to security, you can trust Android application development. The platform offers a secure and unwavering environment for creating mobile applications based on different business requirements. When you hire the best mobile app developers in India, you need to know the Android developers keep pace with advancing technology. Android developers have the right set of tools and techniques to develop mobile applications that offer impeccable performance across various devices. Also, the platform offers superior integration. By offering the most flexible tools, Android offers inter-app integration. When you plan to develop a business application and look for mobile app developer for hire, these robust features will help you create an application with compelling designs and optimal functionality. As we all know, the market today is flooded with wearable devices and Android is a contributing platform for building wearable devices based on Android technology. According to research studies, the wearable market is going to exceed 45 percent in the coming years and will bring more innovative and attractive devices to engage and entertain people. Android apps are the future of the tech world. The platform offers a lot of customization options and scalability to help you develop high-class business applications that feature immaculate design and optimal functioning. All these features count to make Android as the best pick for enterprise applications on a global scale. Hire the best mobile app developers in India and create a feature-rich Android application that reflects your business values in a unified form. There are a number of mobile application development companies operating throughout the world working on Android app platforms to create the best apps for businesses. When you search for mobile app developer for hire, go for an experienced and knowledgeable developer as they will understand your business need’ first, patiently listen to your ideas and then come up with the best solution to convert your imagination into reality.